Wishart Flett Spence was born in Toronto, Ontario, on March 9, 1904. He was the son of James Houston Spence and Margaret Hackland. He graduated from the University of Toronto with a B.A. in political science in 1925, then attended Osgoode Hall Law School. Called to the bar in 1928, he pursued his studies at Harvard Law School and obtained an LL.M. in 1929. He practised law in Toronto with Starr, Spence & Hall until 1934 and later with Spence, Shoemaker & Spence. He was also a part-time lecturer at Osgoode Hall until 1946. In 1950 he was appointed to the High Court of Justice of Ontario, and on May 30, 1963, he was elevated to the Supreme Court of Canada. Three years later, he chaired the royal commission investigating the controversial Munsinger espionage case. He served on the Supreme Court for 15 years and retired on December 29, 1978. 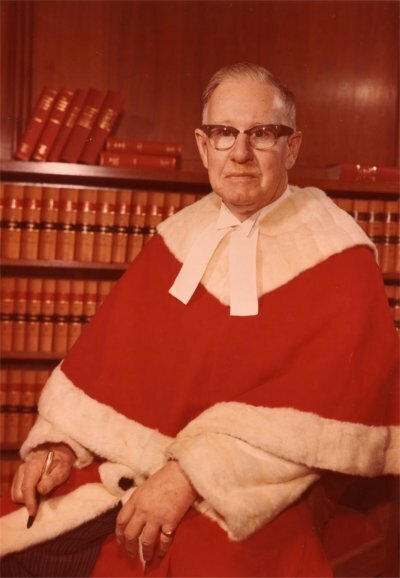 Justice Spence died on April 16, 1998, at the age of 94.